Home News Fishing is on, where are the fish!? Fishing is on, where are the fish!? 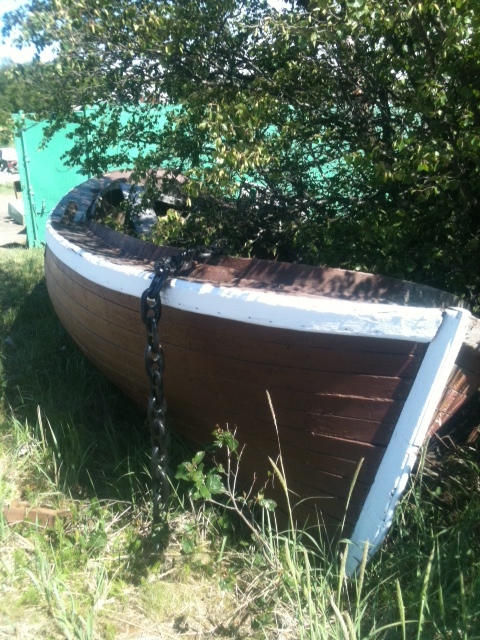 An old Bristol Bay boat. Did we mention that the Bay was fished by sailboats in times of past!? Kyle and crew left Homer three weeks ago and have been in Bristol Bay for almost 2.5 weeks. Last minute preparations were made and early season fishing has been underway. Last season the fish came early and many boats missed out on a large percentage of their season's catch. So of course everyone showed up early just in case this year. Turns out the fish didn't get the 'early fish' memo, so lots of boats have been lined up scratch fishing, only catching a little bit of fish in each opener. In the last few days the numbers of fish has slowly increased, so things should be starting to happen soon. In Bristol Bay the first weeks of fishing are declared 'Free Week' and a boat can fish any district. However pretty soon every boat has to drop their permit card in a specified district (Naknek, Egegik, Nushagak, Ugashik, etc.). In order to switch districts you forfeit 48 hours of fishing, which can be critical in the peak days of the fishery. It's a big decision to be made, especially for a first time Bristol Bay fisherman like Kyle. A lot of research and 100 times more speculation is put into what will happen in a fishery, and yet you never really know how it will all shake down until the season is over!